Kerala Class 10 (SSLC) examination was conducted earlier this year by the Authority Office of the Commissioner for Government Examinations, Pareekshabhavan in between 9th to 23rd March. A total number of 4,76,373 students appeared in 2,903 centers across the state. The evaluation of the answer sheets has already been completed. It was done from April 1 to 12 at 54 centers prepared correctly for the job. 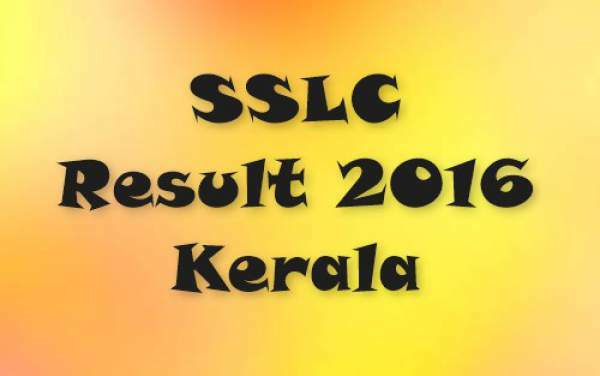 So, we can expect Kerala SSLC exam results to be published on Wednesday. The Secretariat of Kerala Education Minister Mr. PK Abdu Rabb will release it, and then only the students will be able to access the same. The conducting authority is the Office of the Commissioner for Government Examinations, Pareeksha Bhavan, which is located in the capital city, Thiruvananthapuram, Kerala. It has the responsibility of conducting Kerala Secondary School Leaving Certificate examination every year. In 2015, the results came out in just 19 days of conducting the exams. It was released by the same department as for this year. For the last academic year, the pass percentage was 97.99%. It was the highest percent of all boards ever witnessed. This year, it is expected to see an increment. Go to the official website or the direct link will below on this page. Look for the appropriate link stating for the results. Enter the required information like roll number, date of birth, etc. Your result will appear in a new window. Save or take a print out of the same for your future use. The Reporter Times wishes you all the very best for your result and future.